The professional ecosystem for educators. EduCorp is designed BY Educators FOR Educators. We have built this site to be the hub for all your education needs. Complete courses relevant to your occupational needs. Access discounts and specials provided by our suppliers. Be guided by a tailored, educational reference point of wonder and discovery. Seek, give, advertise an event, find a mentor or willing participant. Bring all your self selected learning together to transform informal to credentialed. Record the time spent on professional reading to include in your learning log. 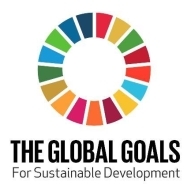 Our overarching aim is to raise consciousness around choices and actions linked to delivering the global goals for sustainable development. This community of educators seeks to improve the management of education specific information, encouraging educators to collaborate, pursue ongoing learning and disrupt education in a positive way. We want to give educators the best possible deal on our site so we have kept costs as low as possible. You will be able to register and use this site FREE forever but we are also adding in additional perks for those wanting to invest in the community. With loads more to come! As an educator you may not have the business / investing skills that other professions develop due to the nature of their occupation – commercial. Educators are generally a profession of employees, locked into contracts or salaries that are capped. Some educators take on a second or third job to secure their financial futures. A membership number and a numbered membership pin > you are effectively a partner in this business community. Blog articles, Educator Produced Resources, Mentorship, Knowledge – content, events, artefacts. Its success depends on your use, involvement and content contributions. Each year you will receive a small token, acknowledging your commitment as a member. When this site becomes a separate business entity we will formally call on members of the community to sit on the board. The power of numbers will draw commercial interest in the site. We are wanting to deal with other socially aware organisations, working toward a sustainable future and therefore promoting a conscious citizenship. AND the founders of this site are EDUCATORS, just like YOU (with sound commercial advice). EdTech is a very complex space to work in, with incredible potential moving forward. We want this enterprise to work and we are happy to SHARE our success and reinstate the role of Educator to a position of reverence and social mindedness for the good of all. We are not Business driven, we are not Politically driven, we are not receiving recompense. We are driven by the Power of Self-Motivation, Social Conscience and LEARNING. Make yourself right at “home”. This is the place to launch from, into the ecosystem designed to cater for all of your needs as an Education Professional. Selecting the EduCorp logo on the top left side of each screen will always bring you home. The pencil is symbolic of the paradigm shift and innovation of the 20th century in education, this website is designed to be the shift to the 21st Century – a tool to evidence progress and growth by self selection. Familiarity with the term “connected educator” is indicative of exposure to social media and online professional learning. The block on the left of screen suggests ways of thinking about the potential of the ecosystem. Beneath this block are the scrolling logos of organisations and suppliers who are engaged on site. The shopping cart on the top right is solely for the purchase of memberships or EduCorp Exclusive products that may be on offer. All other products/ services are dealt with directly by supplier. You can also view resources that you have added to your wishlist from all suppliers. My account/profile is a key element in customizing what is offered to you in the way of learning material, keeping all relevant professional information together. Personal details from the profile are embedded in other aspects of the site. Dashboards relevant to roles are also on the right, with an Activity Feed. The activity feed highlights news, notices, posts and achievements.